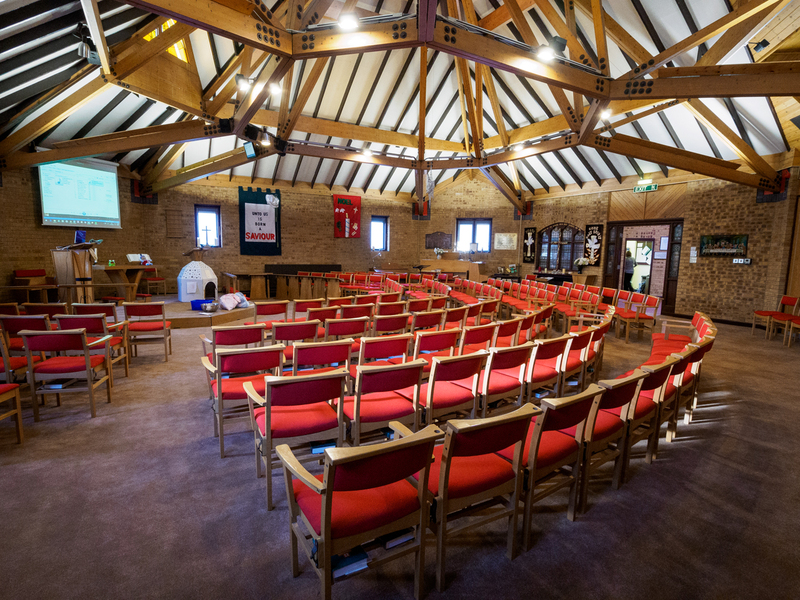 The Church buildings are modern, comfortable and well equipped. 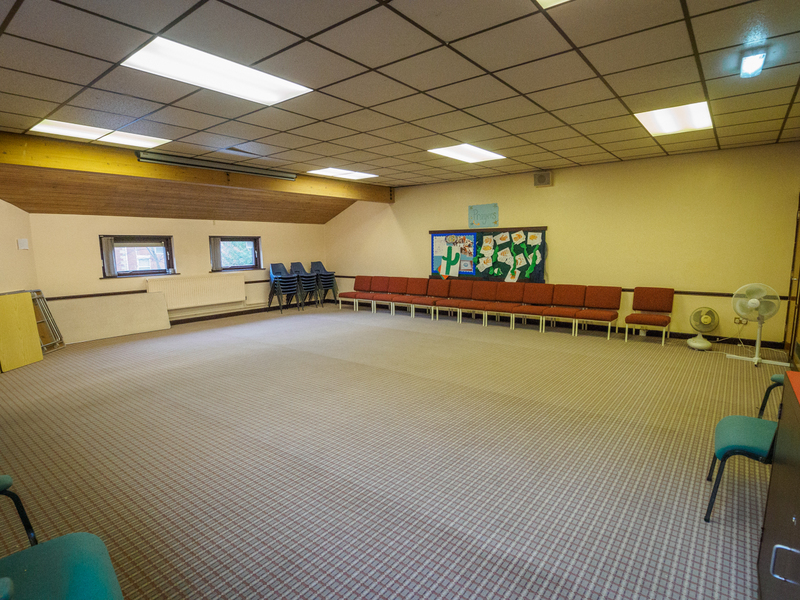 We have various rooms which are available to hire on a regular or ad-hoc basis. 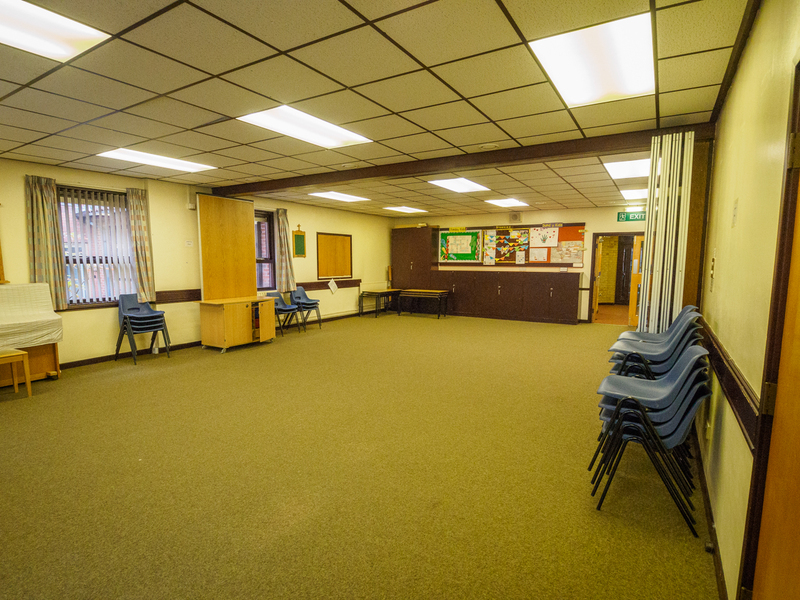 Please get in touch with the church office to discuss your needs and the availability of the rooms. 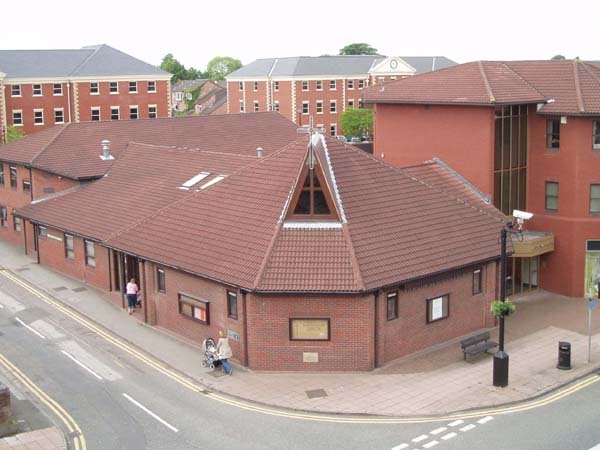 Our town centre location makes us ideal for local businesses looking for an off-site meeting. Refreshments can be catered for in most rooms at some times (note our premises are an alcohol-free zone). TVs or overhead projectors may be borrowed at additional cost. Internet access is available throughout the building on request. Please ask when you book. This room comfortably seats 50+ people with a hatch through to the main kitchen. It can be split into two areas by the retractable dividing wall. A smaller room suitable for meetings. Please note that there is no disabled access to this room at present. 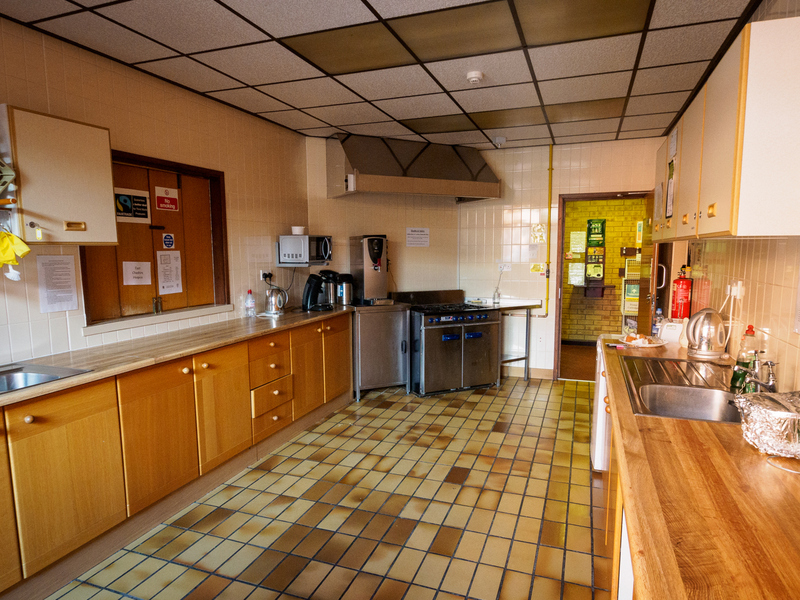 The main kitchen is fully equipped with a catering range cooker, water heater, fridge, high speed catering dishwasher and is ideal for catering into the coffee lounge or the downstairs meeting room. Equipped for serving drinks & snacks etc. but not full catering. 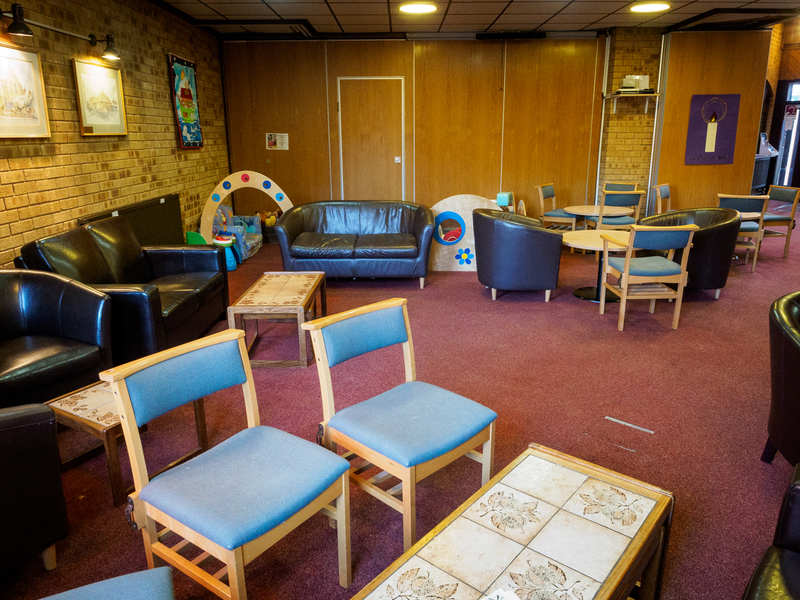 The lounge is an open plan informal area next to the church. It is used during the week for serving drinks to visitors and the various groups who use the building during the week. It has a play area for children. A projector, screen, sound and DVD player can be hired. Whilst obviously not suitable for all organisations or activities the church is a beautiful & adaptable contemporary space equipped with a (tuned!) piano, Clavinova, projector and comprehensive sound system. 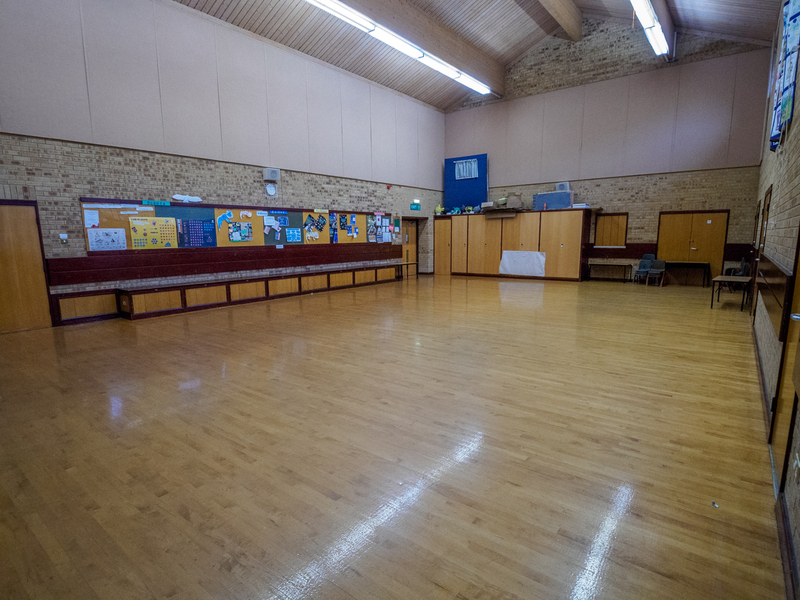 It is an ideal space for concerts, rehearsals etc (the Barnby Choir meet here on Tuesdays). It has also been used for 'away days' by local organisations.